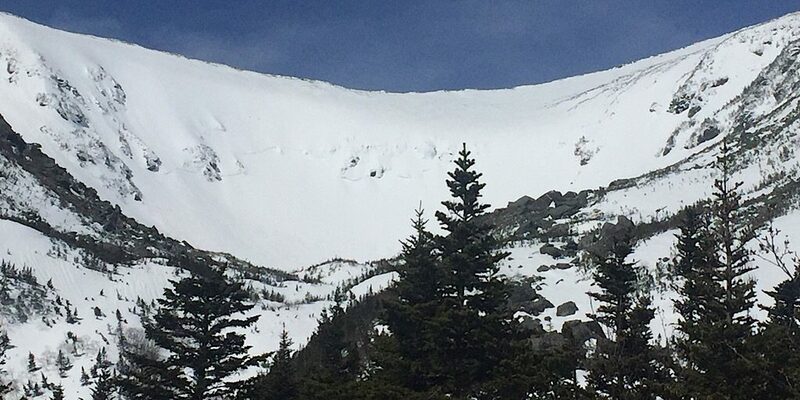 What a difference a day makes on the notorious 6288′ Mt Washington. 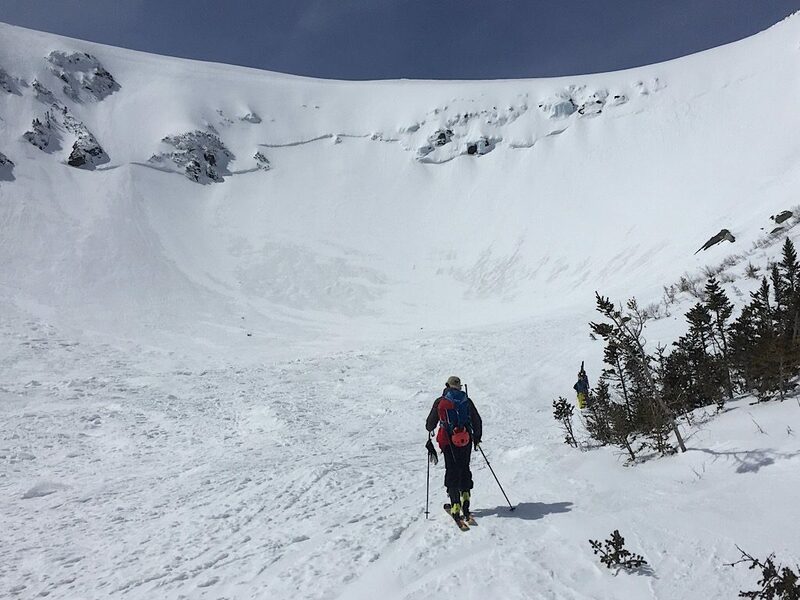 Why just the other day one of our teams was stopped short of their goal due to high winds, wind loaded snow, and higher than acceptable avalanche conditions. 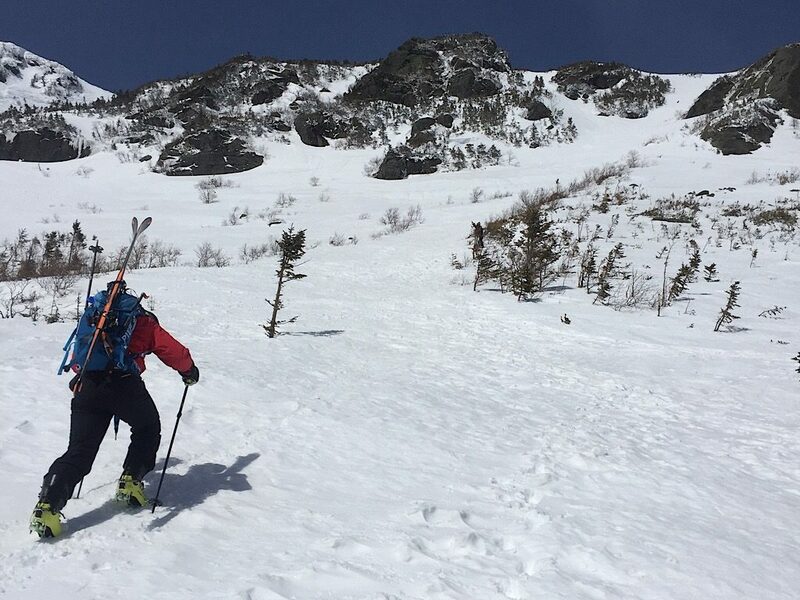 Turn the clocks ahead 24 hours, though, and the same ravine, now sun kissed, is significantly less dangerous, with acceptable ground conditions for backcountry alpine touring, and some fun New England skiing to be had. 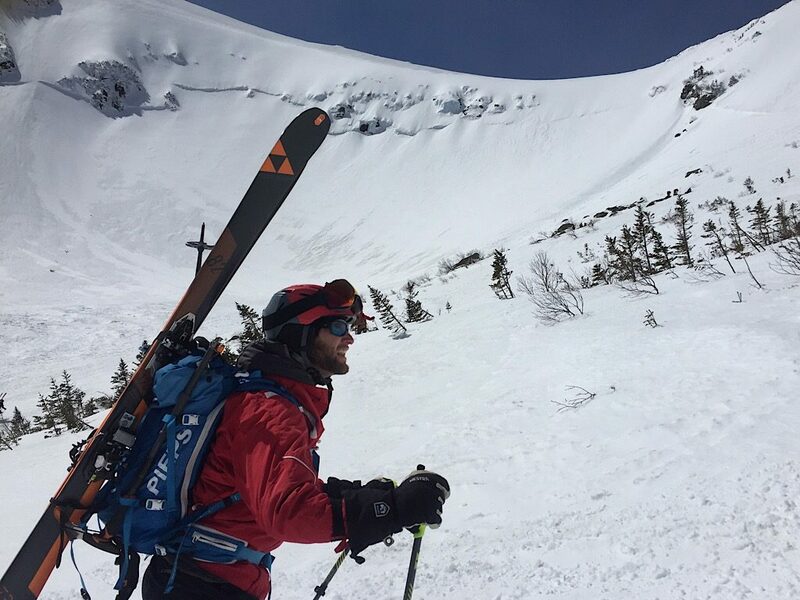 This tour was led by Redline Guide Erik Samia and he and our guest were lucky enough to have fine weather and schedule coincide. 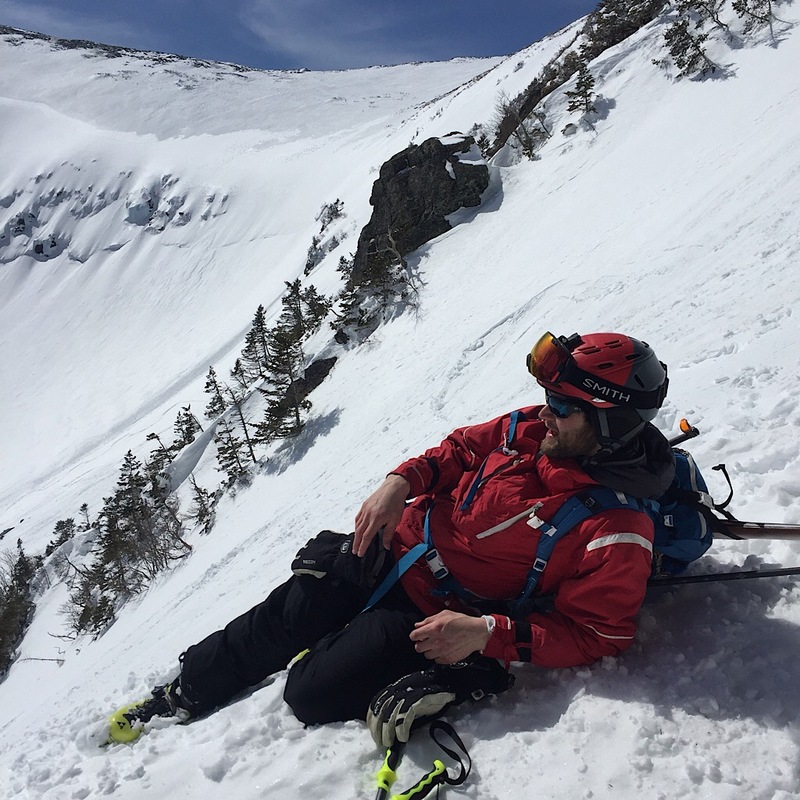 They got to ski a famed Tuckerman Ravine couloir and a bit more, they just had to wait until the right time to do it safely. Erik offered this synopsis of the day followed by some spectacular photos. 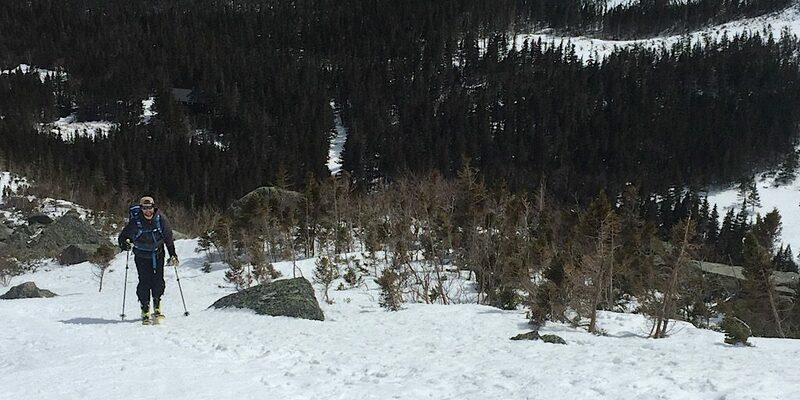 There it is: Tuckerman Ravine. Approaching the floor of the ravine. Now it’s time to climb. Our guest is relishing this. 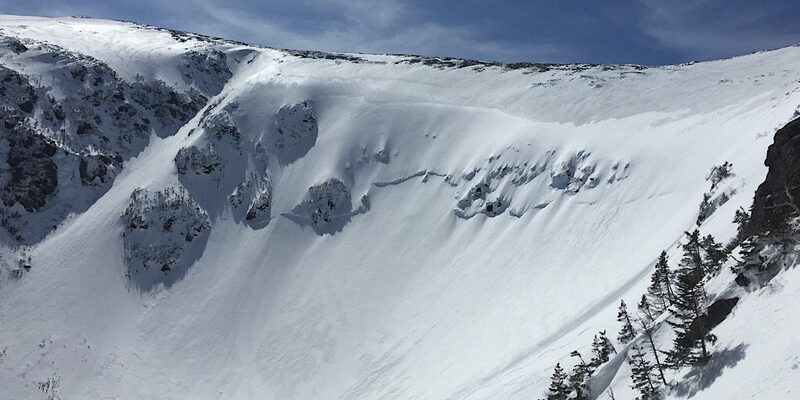 Tuckerman Ravine as seen from Lobster Claw. Outstanding job! Thanks for choosing Redline Guiding. Job well done, Erik.